Summer Reading Plan:: CLICK HERE &/or HERE! This is going to be an exciting week! Romans! Romans has 16 really crazy-deep-and-good chapters, so it is 2 per day + an extra here or there. And basically a Psalm or two daily. “Everything they do is done for people to see” Jesus’ indictment against the Pharisees, and the teachers of the law regarding hypocrisy in Matthew 23. Wow. That is hard. Because the minute you become an “up-front” person, the second you get the ministry-title (pastor-teacher-evangelist-prophet-apostle-women’s ministry leader-Heaven Fest director-COO of WWM-group leader-ministry supervisor, whatever), you are sure targeted to start believing your own press when the adversary starts patting you on the back. God, deliver us from ourselves and from thinking we have “a place” because we are above or beyond others and from putting guilt, condenmation, rejection, religious burdensomeness and general religious crap on people. God, help us. 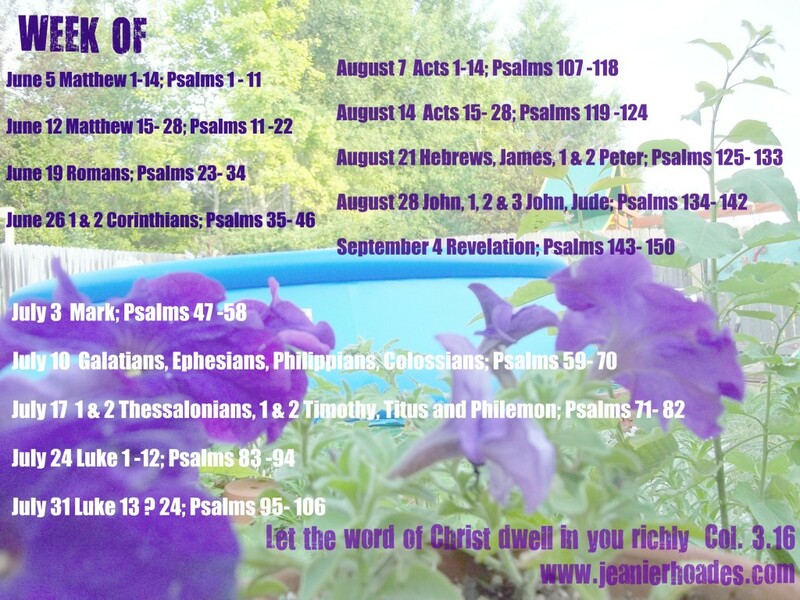 The Psalms…I love them. They are not just lighthearted sing-song pleasantries. They struggle with the heart-issues. Psalm 15 is one of the most difficult. Lord, who may dwell in your Presence? The answer is hard to live. Psalm 19, an homage to the beauty and life-giving nature of the Word of God. Deep prayers, “Keep your servant from willful sins, may they not rule over me,” and “May the words of my mouth and the meditations of my heart be pleasing in Your sight, O LORD, my Rock and my Redeemer.” Really, truly a prayer of my life. 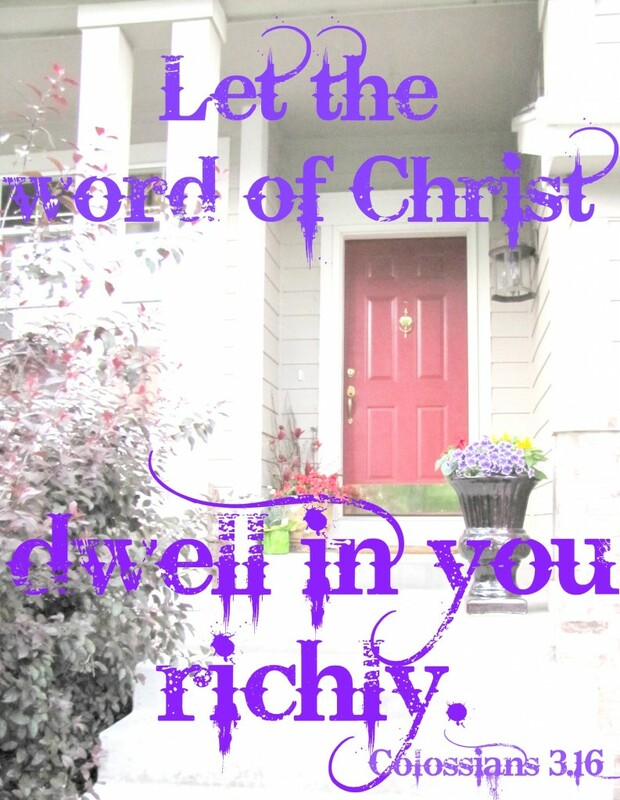 [The Message] Let the Word of Christ—the Message—have the run of the house. Give it plenty of room in your lives.